Fluoride – Good or Harmful? Fluoride is a mineral found in water, plants, rocks, the soil, and air. In essence, it’s all around us and ever-present. It’s in our bones and teeth as well. Aside from teeth protection, fluoride serves other purposes as well. It’s used in medical scans, in pesticides, for the creation of aluminum and Teflon products, as well as a cleaning agent. However, more significant amounts of fluoride lead to several problems which I’ll discuss in this article. Dental Fluorosis is a problem caused by more substantial intake of fluoride, that can be identified by white or brown patches on the teeth of children that were exposed to high amounts of fluoride before the development of permanent teeth. Fluorosis is very common and is found in 41% of adolescents in the US. Dental Fluorosis is a problem caused by more substantial intake of fluoride, that can be identified by white or brown patches on the teeth of children that were exposed to high amounts of fluoride before the development of permanent teeth. Fluorosis is very common and is found in 41% of the adolescents in the US even if their teeth have no stains on them. The reason for this is that fluorosis after the development of permanent teeth goes unmarked. Are not drinking tap water regularly, and are drinking water that has gone through a filtration system that removes fluoride from the water, or are drinking bottled water. As the name suggests, it’s in many ways similar to dental fluorosis, except for the fact that it affects bones and not the teeth. The results of skeletal fluorosis are damaged bones and joints. These problems affect the bones as they deplete calcium from their structure, which subsequently results in brittle bones. Tap water fluoridation does not provide any control of the level of fluoride exposure that children and adults receive. Furthermore, scientists have shown that the benefit to teeth that comes from fluoride can come from topical fluoride application or, in other words, using toothpaste with fluoride. Furthermore, adding fluoride to public water systems is not really a democratic approach to public health. If you want more information on whether your tap water is fluoridated, the CDC has a tool available which provides information on which locations use fluoride in the water supply and how much. 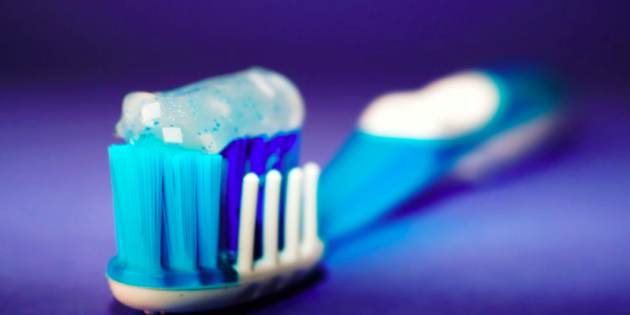 If you live in a place with high levels of fluoride in the water supply, aim to use fluoride-free dental products, especially for your children, who are the ones most affected by fluoride-induced health problems. You may also wish to use a water filter to filter out contaminants. The one I recommend is the handy Epic Pure Water Filter Pitcher which removes up to 99.99% of all contaminants including fluoride. It is 100% recyclable and 100% BPA-free and very simple to use. The best advice for tooth health is to eat foods that our teeth were meant to consume, like nuts, whole foods, fruits and vegetables. When soft foods or sugar rich foods and beverages are consumed, teeth will become decayed. When healthy food options are consumed and there are no lacking nutrient deficiencies in the diet, the teeth of the person will be healthy and strong. Thank you for taking the time to read this. I’d be honored if you would share it with your family, friends, and followers by clicking the Like, Tweet, and Share buttons. If you are serious about improving your health no matter what your age or circumstances, and are ready to finally achieve optimal health and lose the weight you’ve been struggling with, then click HERE to check out my online Guerrilla Diet Bootcampfor Healthy and Lasting Weight Loss. Recovery from skeletal fluorosis (an enigmatic, American case). Kurland ES1, Schulman RC, Zerwekh JE, Reinus WR, Dempster DW, Whyte MP. 2007 Jan;22(1):163-70. Peckham S, Lowery D, Spencer S Are fluoride levels in drinking water associated with hypothyroidism prevalence in England? A large observational study of GP practice data and fluoride levels in drinking water J Epidemiol Community Health 2015;69:619-624.